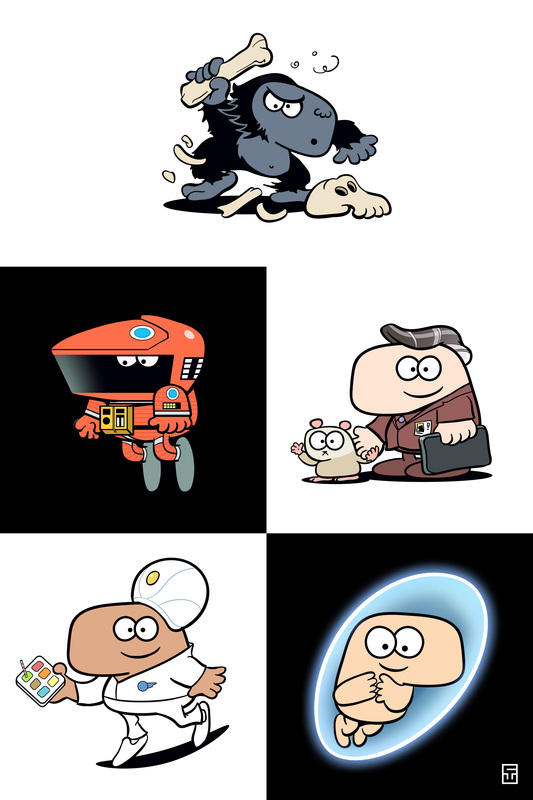 Here is a little set of Urflings based on Stanly Kubrick’s 2001: A Space Odyssey. Last week I went to see the Stanley Kubrick Exhibit at the Contemporary Jewish Museum in San Francisco. If you are in town, and a Kubrick fan, you should definitely go see it!